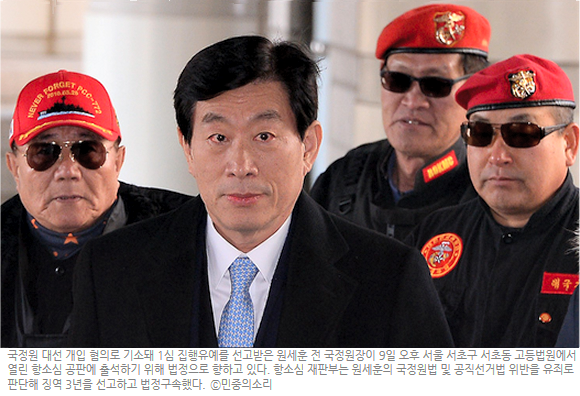 The former Director of South Korea's National Intelligence Service, Won Sei-hoon (원세훈) has been sent to prison for three years for attempting to influence and intervene in the 2012 Korean Presidential election (link). Won & colleagues generated a massive disinformation campaign against the Presidential opposition candidate, while supporting the candidacy of now-President Park Geun-hye. The scandal greatly damaged Korea's democratic image, as well as fundamentally undermining the status and standing of President Park. 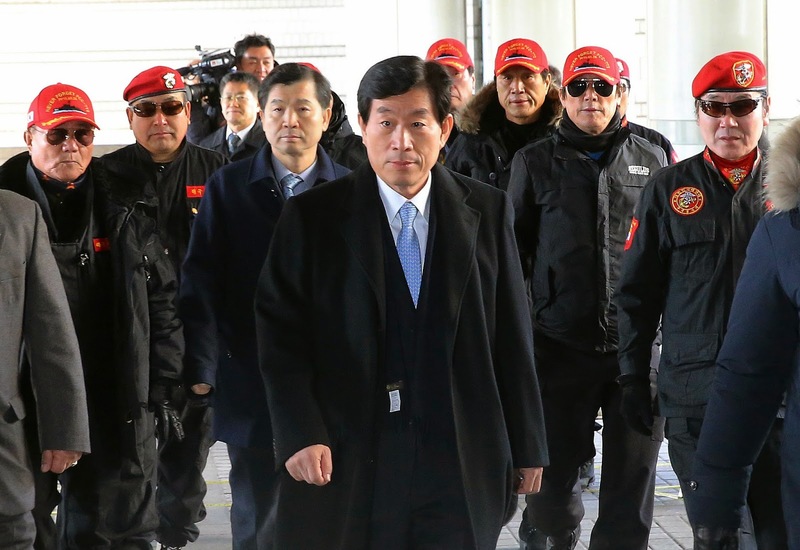 Mr. Won was escorted to the Seoul High Court by right-wing paramilitary supporters in a futile and foolish-looking show of force & bravado.